Lots of work on injury prevention, lesson planning, proper spotting, and how to get started! 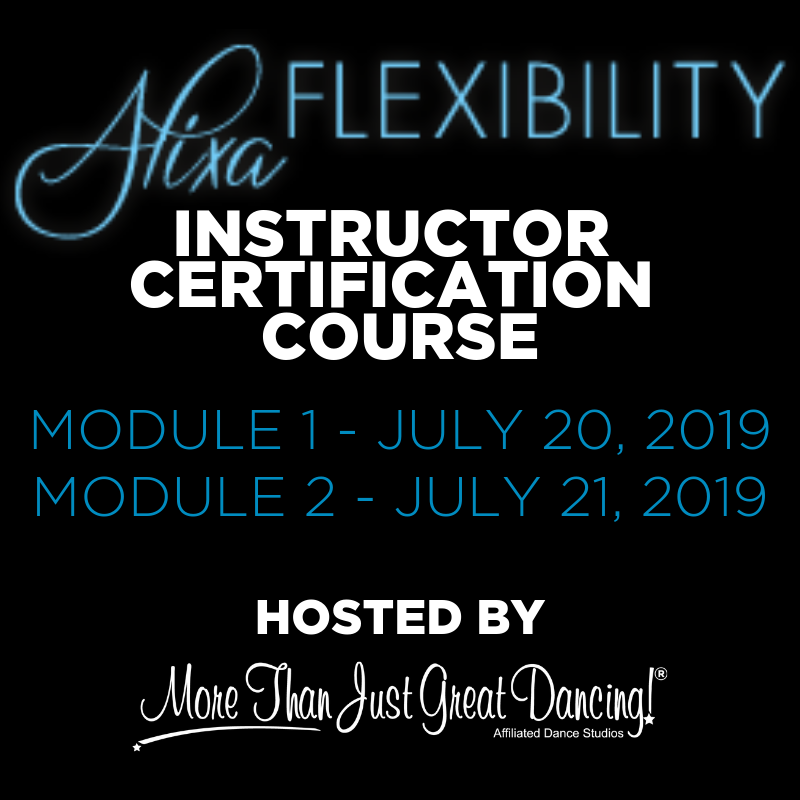 MODULE 2-6 RAISE THE LEVEL OF FLEXIBILITY & TECHNIQUE WITH EACH COURSE. Courses use live demos, and instructors see how students react to different exercises, how to identify different alignment issues and ways to fix them, learn about the emotional aspect of stretching (i.e.. holding tension in different parts of the body, dealing with perfectionist students, having students seem very inflexible because they are holding so much stress/insecurity in their bodies etc), and study how important the brain-body connection is in stretching.